Inside: Do you have some wall space you need to fill up with something beautiful? Do you need functional pieces that look pretty, too? Do you have old windows kicking around? If you answered ‘yes’ to any of these questions, keep reading! 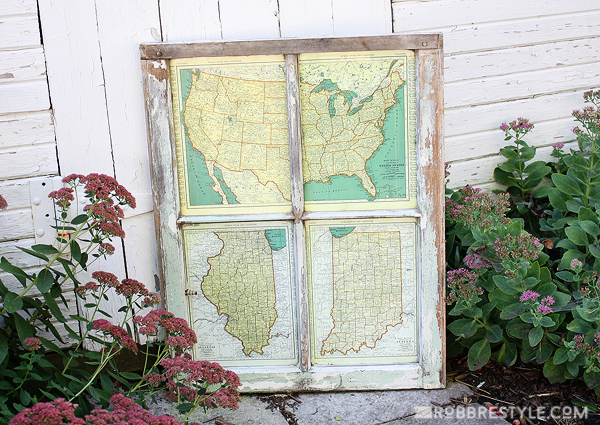 Here are 25 ways you can re-use old windows for some beautiful pieces of home decor! I could be wrong, but I’m pretty sure my dad invented the whole “find trash and make it treasure” thing. Loooong before it was a trendy thing to do, this was my dad’s gig. I can remember on Sunday nights, the night the trash went out, my sister and I would get in the front seat of my dad’s white ’80-something Chevy pick-up truck, and we’d go “junkin” with him. He had this incredible eye for things people were throwing away and what he could make from it. Our house was filled with pieces from “Roadside Warehouse,” as we affectionately called it. For a while, he was on this kick with old windows. I’m not sure if he even knew what he was going to do with it himself, but he just kept collecting them. 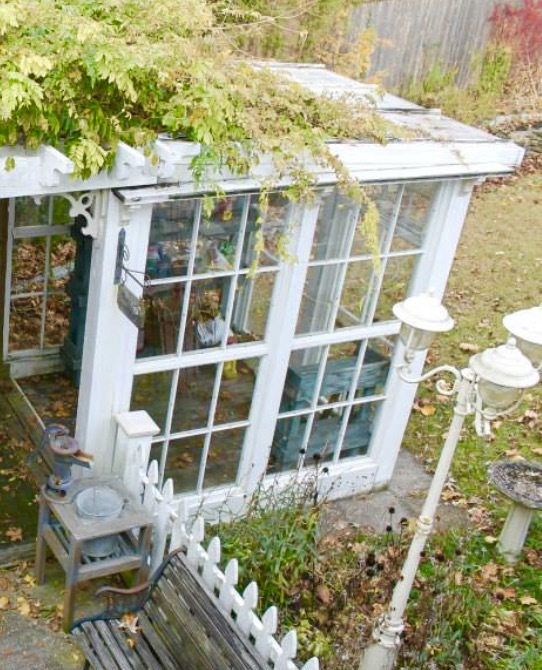 Well, he ended up making kitchen cabinet doors with them – and building my mom a greenhouse! 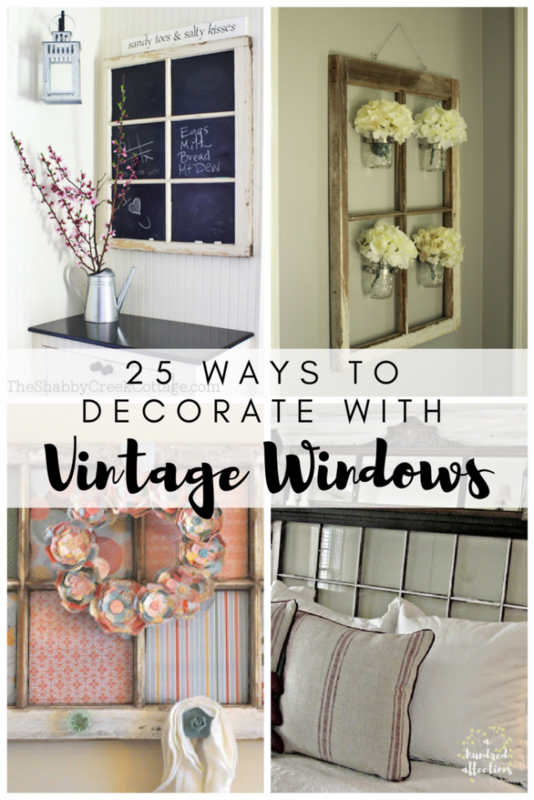 We aren’t getting that fancy today, but there are plenty of creative and beautiful ways you can decorate using old windows. Most are pretty simple, and the effect definitely outweighs the effort. 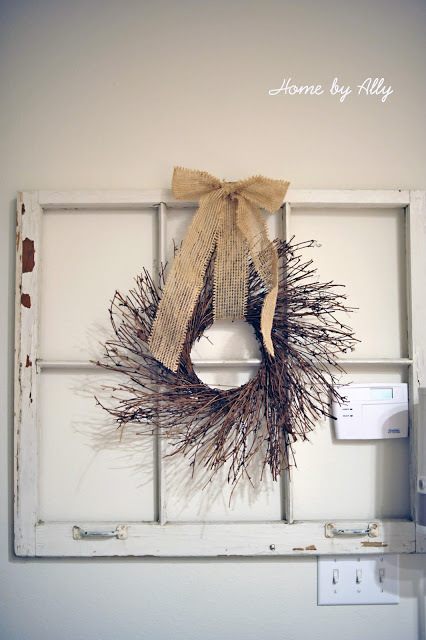 It’s also an easy and inexpensive way to introduce farmhouse decor to your home. This setup has all the elements of a truly rustic feel. 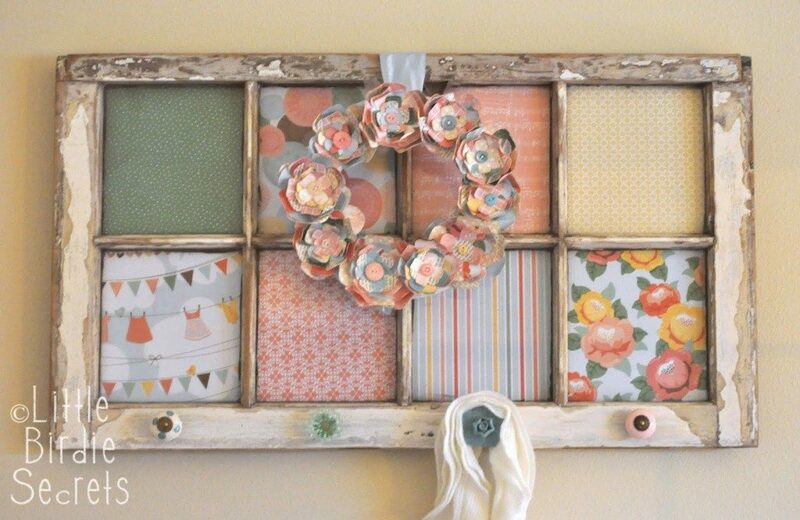 There are so many option and ways you can go – different style ribbons, different style wreaths. This can be adapted for any color scheme. You really can’t go wrong with this piece! 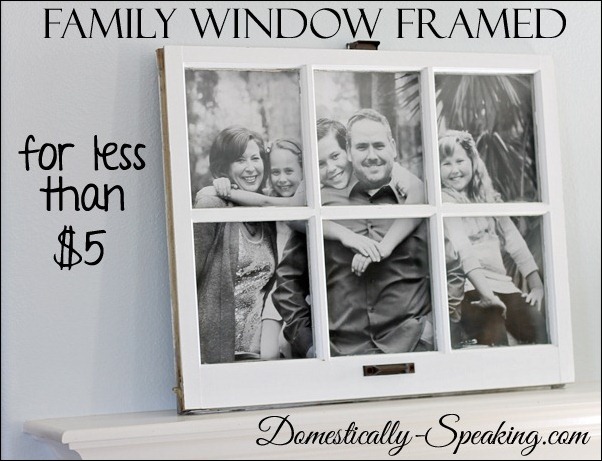 There are lots of different ideas floating around out there for using windows as picture frames. I particularly like this one because of the chicken wire and close-pins. It really gives a farmhouse feeling to it – and it’s super-easy to put together! 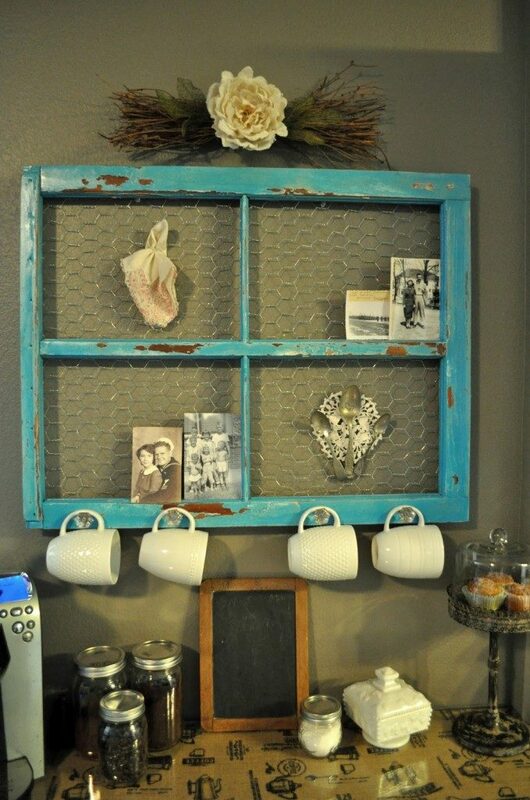 This is another truly versatile use for an old window. 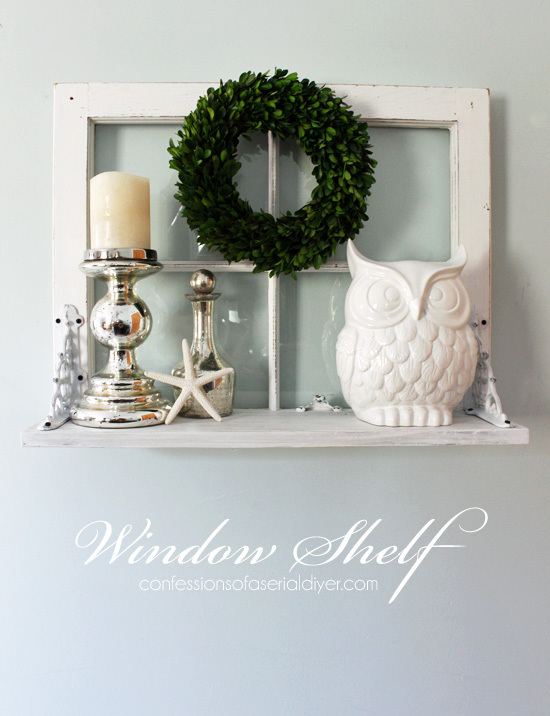 As a mantel centerpiece, the window will compliment any decor you place around it. It can work with any color scheme and with any of your favorite items to showcase around it! It even can be changed and updated with the seasons! This makes a super-fun message board! 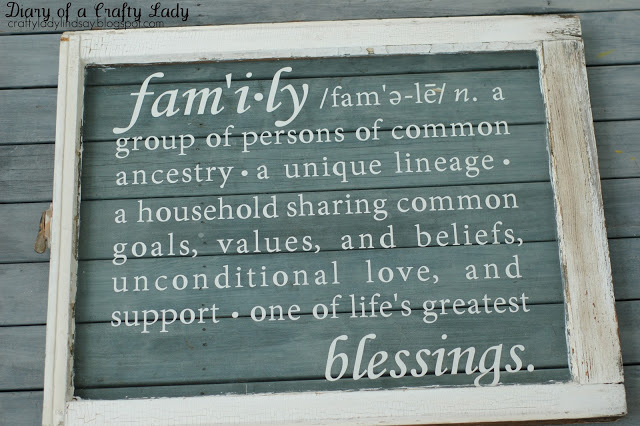 You can give each family member their own box, you can make grocery lists, you can write menus or inspiring quotes – lots of fun options to play with! 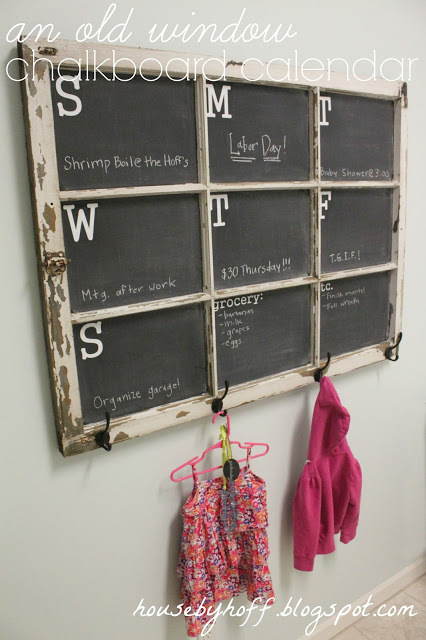 This is another take on using the frame as a chalkboard, but I love that this one is a calendar! I always feel like calendars in my house take away from the decor, not add to it. Not the case here! This is something that is super-practical but will enhance your space, not detract from it! Love the hook idea, too! Can’t ever be too multi-functional! 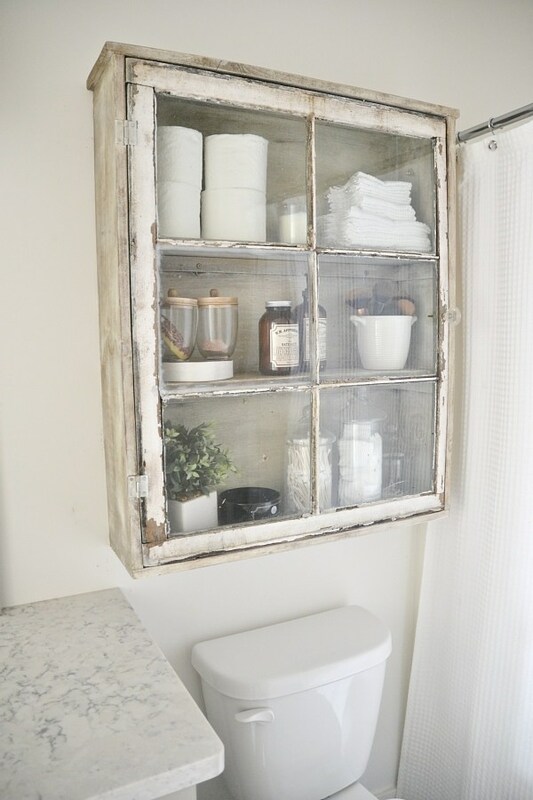 This window looks amazing as a cabinet door! 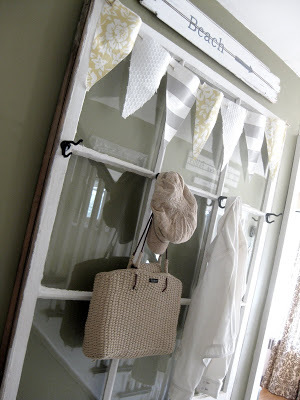 Another great way to carry the farmhouse theme through every room of the house. Beautiful! 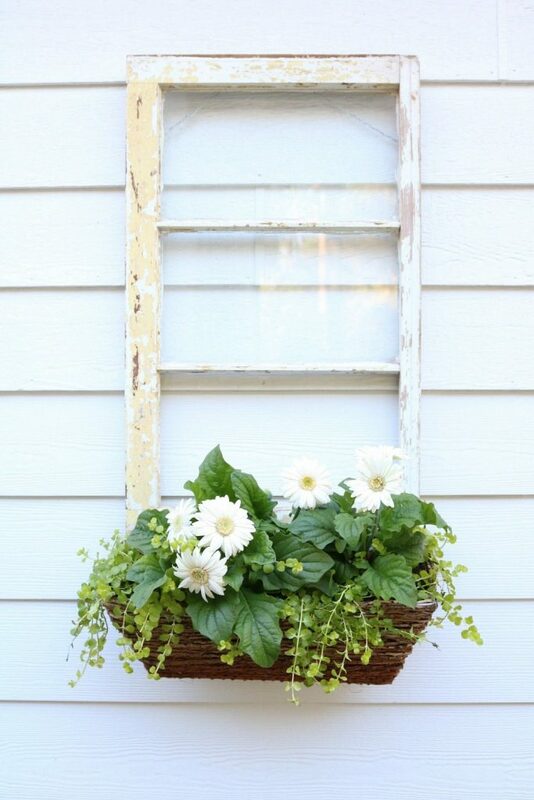 I love this idea of using a window as a window-box! It allows you to place a window box and flowers wherever you want to on your house, not just your real windows! Genius! 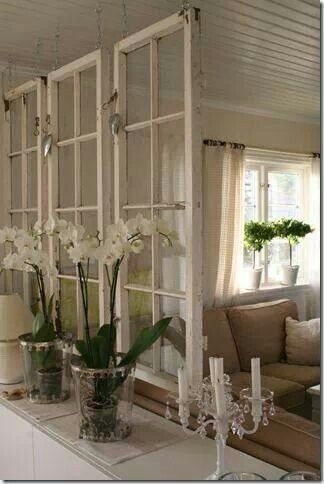 This is another way to add a little complexity to some wall space. A window by itself might feel a little plain, but when you add the shelf, you open up so many options of how to decorate that space. 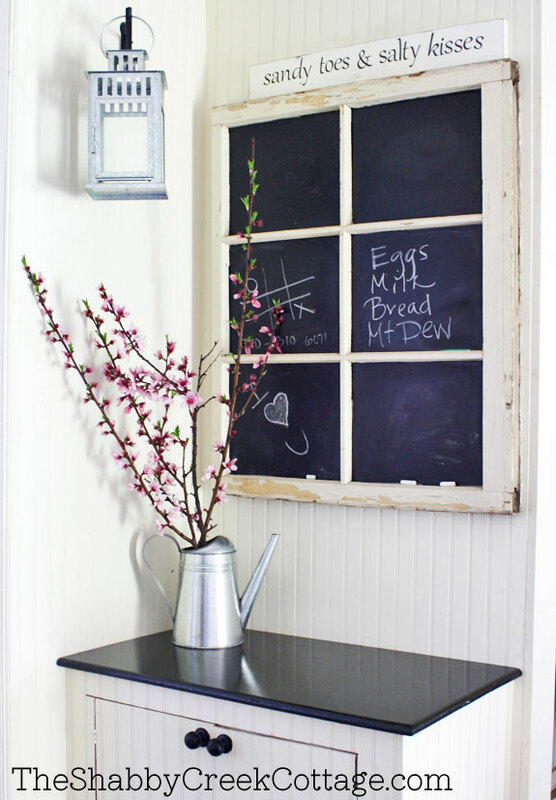 If you’re not into chalk, this is another clever way to use a window as a memo board. 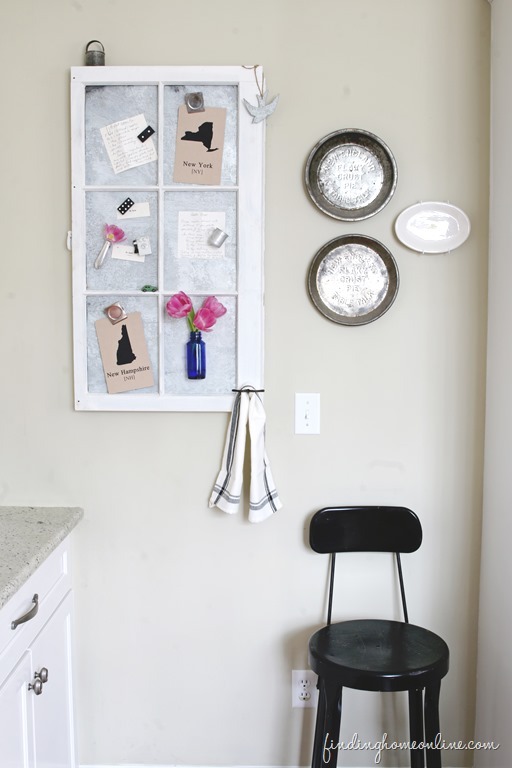 You also have so many options when using a magnetic surface – there are so many pretty magnets and fun things to hang. You really can put together a whole theme using a board like this! What a pretty way to showcase and accent mason jars with flowers! It looks like these pieces were always meant to go together. So simple and delicate, but a very striking effect. 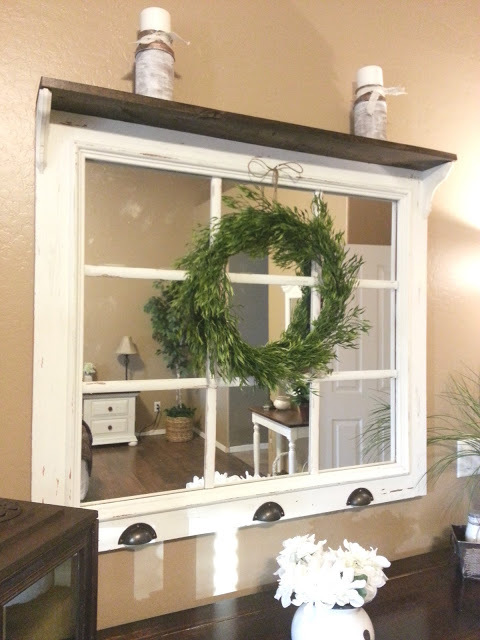 Using a window pane with a mirror behind it is another great idea! 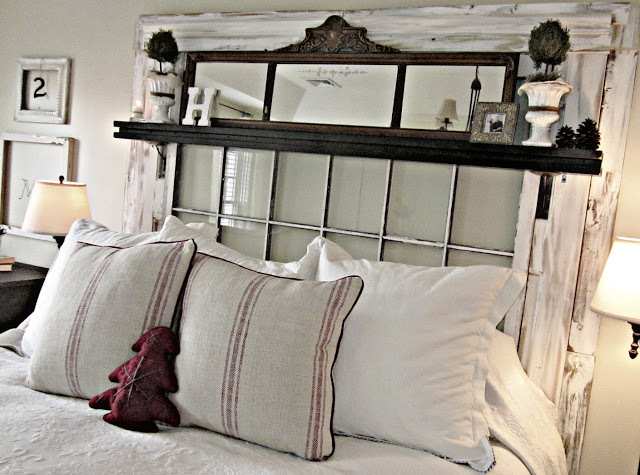 Using mirrors open up the space in a room, and adding a shelf on top gives you another option for adding more decor. Such a clever way to display a beautiful plant or flowers! My dad was on to something! 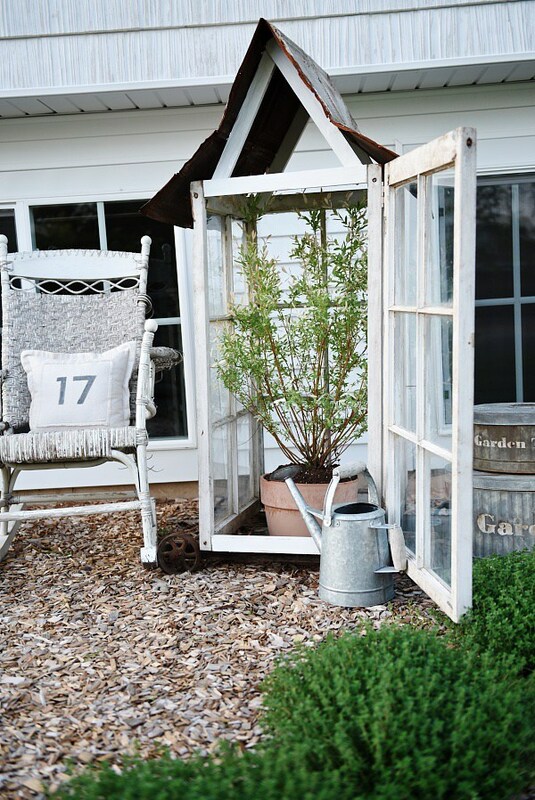 This adds some extra flair to your outdoor design, and it’s also another way to make the farmhouse theme more uniform through the indoors and outdoors. How amazing is this?!? There’s nothing else I can say that would add to this display. I just keep staring at it! It. Is. Perfect. I adore it. This is so practical as well as stylish! 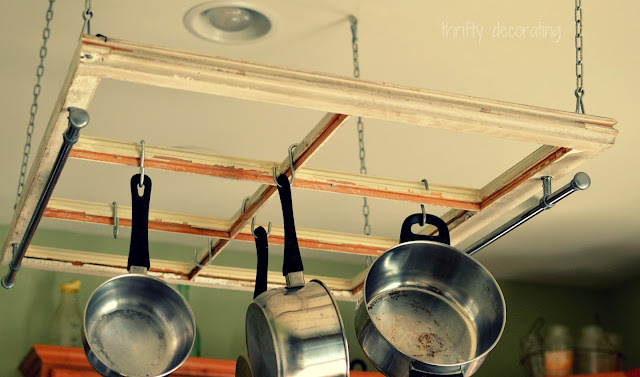 To have pots and pans always within reach AND have it as part of your decor? Win-win! 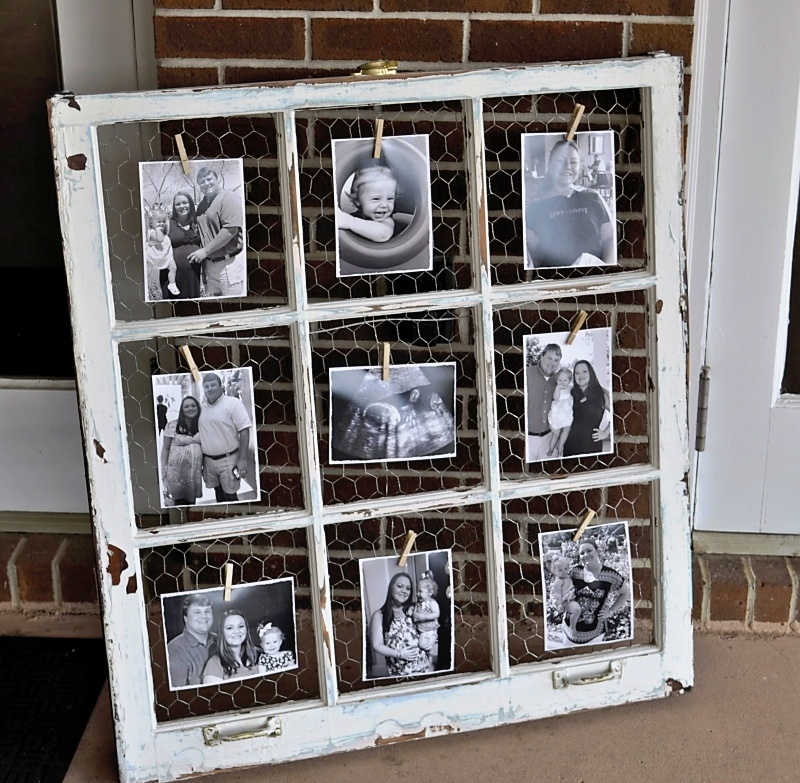 What a great way to show off a favorite family photo! You probably have to make sure it’s arranged in a way that doesn’t block anyone’s face (something I would end up doing, for sure! ), but I love the finished product! 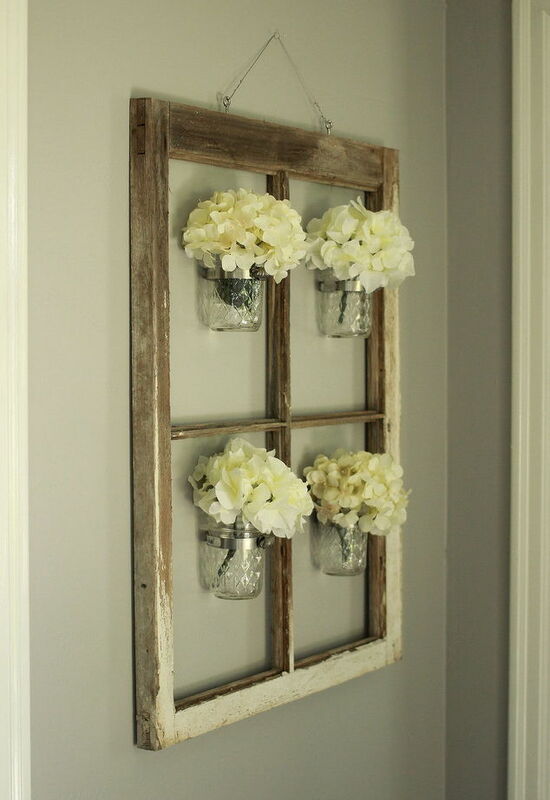 This would be perfect for an entryway or foyer! It introduces the rustic theme as soon as people come in. And I love the doorknobs on the bottom. The perfect touch! 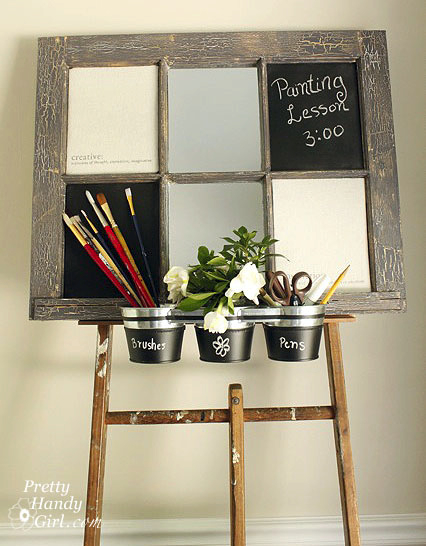 There are a ton of possibilities of what you can write on a window! This is such a significant way to take a quote or phrase or Bible verse that is especially meaningful to you and your family and highlight it in a stunning way. Another way style becomes practical! Hanging coats and bags always looks so messy to me. This piece solves that problem! It’s so pretty that no one will even notice the items hanging! 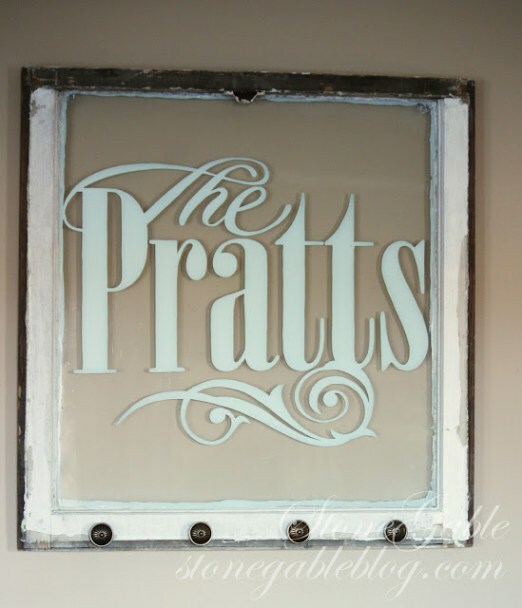 The banner on top is the perfect way to enhance the window without overwhelming the space. Well played! I love this look. So clever! 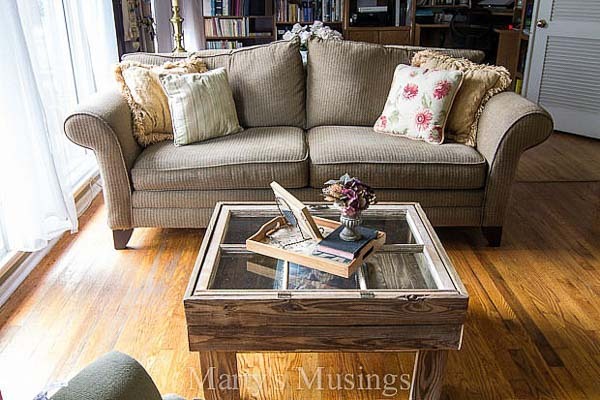 It adds a rustic touch and creates such an interesting focal point between the 2 rooms. I truly admire how creative people are! Another clever idea! It never crossed my mind to use windows as furniture until I came across this! This would be a really unique piece of furniture that adds interest as well as function. This is so easy to do and adds so much color and life! I love her choice of patterns, of doorknobs – I love everything about this! Such a beautiful way to attract attention to a wall space. I’ve always found it tricky to tastefully display posters without detracting from a certain style I was trying to achieve. Using a window as a poster frame solves that problem! It’s a great way to display a favorite poster and add style to the decor. If you have an artist in your life, you need to make this! 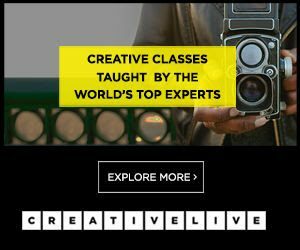 This is such a unique way to create a space for creativity! This would be super-fun for multiple children to paint or draw at once as well. I love this rustic, farmhouse take on a coffee bar! The window is the perfect accent for practical items like coffee cups as well as for more decorative ones to really dress up the space. And, of course, the chicken wire is a win in my book! 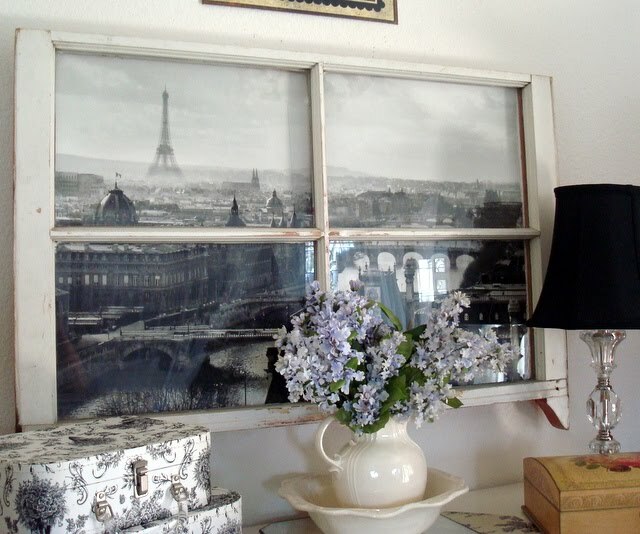 Once you have an idea in mind, there really are no limits as to how you take an old window and decorate in a way that’s all your own. These ideas can get your creative juices flowing. 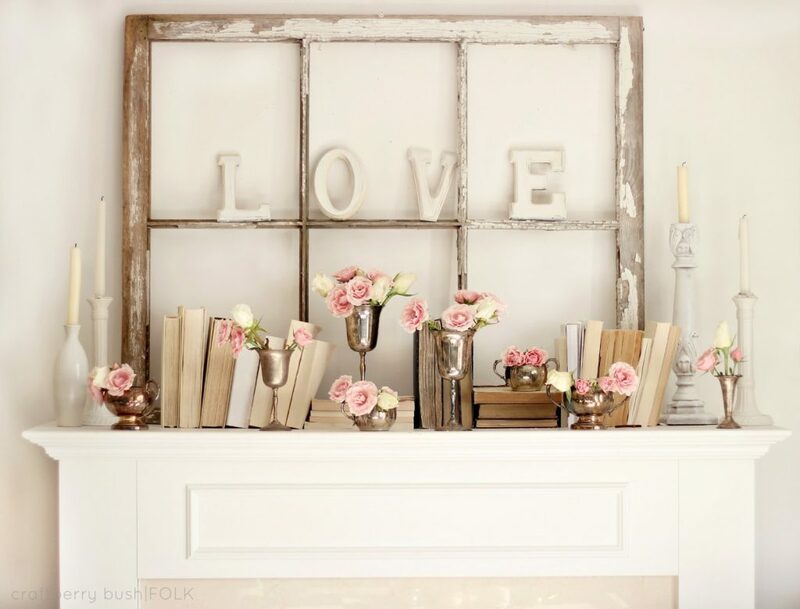 Old windows are a simple, inexpensive way to pretty up a wall or mantel or to use in a functional and practical way, while still being pretty! If you try any of these ideas, I’d love to hear about it! Please comment back – and with pictures! If you know someone who would enjoy these projects, please share! These are beautiful!!! I should do something like this in my office to inspire me. 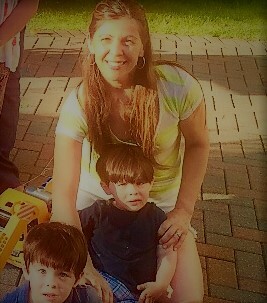 Aren't they amazing?!? I seriously want to do every single one! That might be overkill, but I think they are the best!